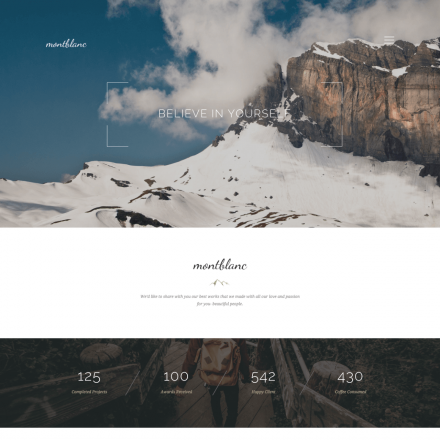 Route is a premium WordPress theme. You may translate it to your language with Poedit translations editor. 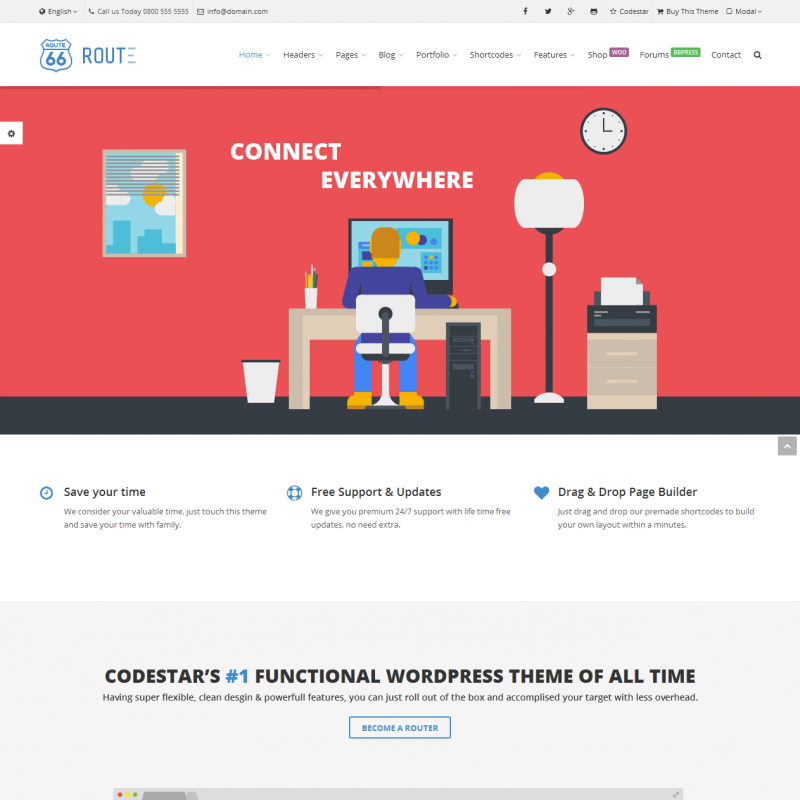 Route is a multi-purpose responsive theme compatible with a large number of free and premium plugins. With the popular Visual Composer plugin integrated in the theme, you can create the most beautiful web pages with no special skills in web development, it’s all done with a click of your mouse. Create your own online store with WooCommerce plugin. The theme looks just great with it. You can easily set up a one-page site navigation functionality using this theme. Create as many sections of the page as you like. Each of the sections can be used with or without the Parallax effect or even slow motion HD videos! 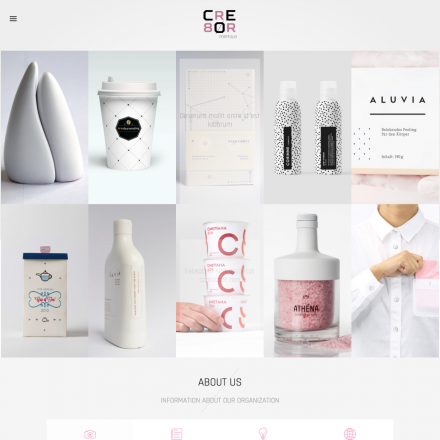 Enjoy the unlimited color combinations when building your site’s design. Font Awesome and IcoMoon integration will give more than 1,600 (IcoMoon) plus 439 (Font Awesome) icons. The Slider Revolution $18 worth and LayerSlider $17 worth are included free of charge. Create stunning image galleries, slideshows, and content sliders to impress your site’s visitors. If you would like to have pricing tables but you do not like the standard ones, you can use the Go Pricing plugin which is also integrated into the theme for free (and saves you $19) and provide your pricing tables with more style and beauty.